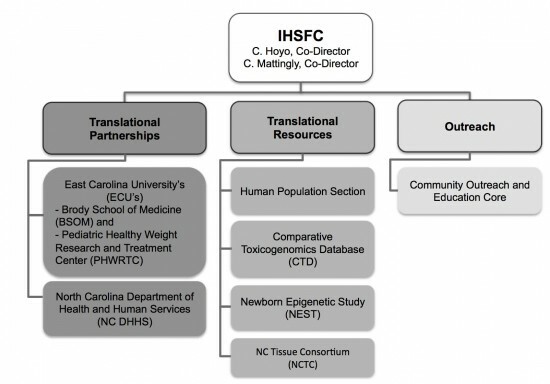 The mission of the Integrative Health Science Facility Core (IHSFC) is to catalyze bi-directional translation of research between diverse model systems and population-based studies to advance understanding about the effects of environmental exposures on human health. 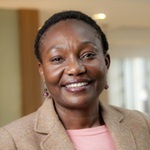 The CHHE has long had a cadre of nationally renowned basic scientists that leverage diverse models for environmental health science (EHS) research and has one of the best developed bioinformatics pipelines in the country for ‘Big Data’; through the IHSFC, CHHE seeks to develop a stronger and more expanded translation component as a land grant institution that is without a traditional medical school or school of public health. Aim 1. Cultivate translational partnerships and integration among basic scientists, epidemiologists, exposure scientists, clinical researchers and public health practitioners to advance understanding and prevention of the effects of environmental factors on human health. Aim 2. Develop new and enhance existing resources that will facilitate multi-directional translation between basic science discoveries in diverse model systems and population-based studies. Aim 3. Contribute to the CHHE outreach mission through substantive and bi-directional integration with the Community Outreach and Education Core (COEC) to help educate vulnerable communities about the environmental impacts on human health and, where possible, to coordinate CHHE translational initiatives with public health priorities.